Yellow split mung beans are praised in ayurvedic texts for their nutritional value and ease of digestion. Government Ayurvedic College, Burhanpur, Madhya Pradesh. 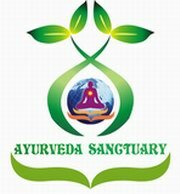 Hello all, I was planning to visit Ayurveda Sanctuary fro ..